I have a few naturals in my life. My sister in law, cousin, grandma, and the list goes on. However, for any occasion, I always like to give meaningful gifts. They don't have to be the most expensive but I do really pay attention to detail and what the person truly deems meaningful. I know I'm late but here are some things I am considering getting her and I composed a list of thing that might help you as well. 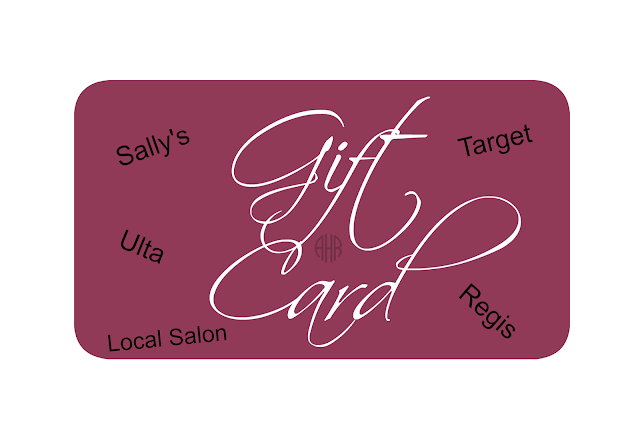 Here is a gift for the reader in your life or any natural gal who is interested in hair education. I'm not a huge fan of reading but I will read a hair book because I want the best of the best care for my strands! I actually own a few hair books. 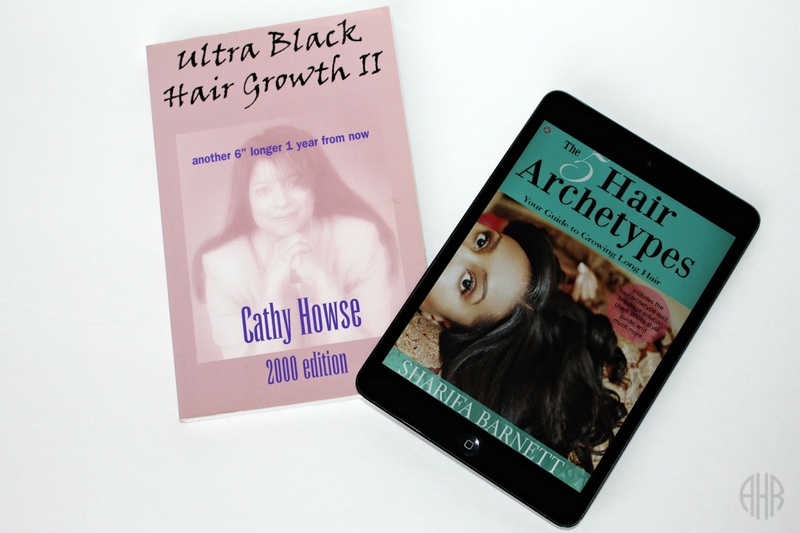 Some great ones I've read include Cathy Howse's Ultra Black Hair Growth II. 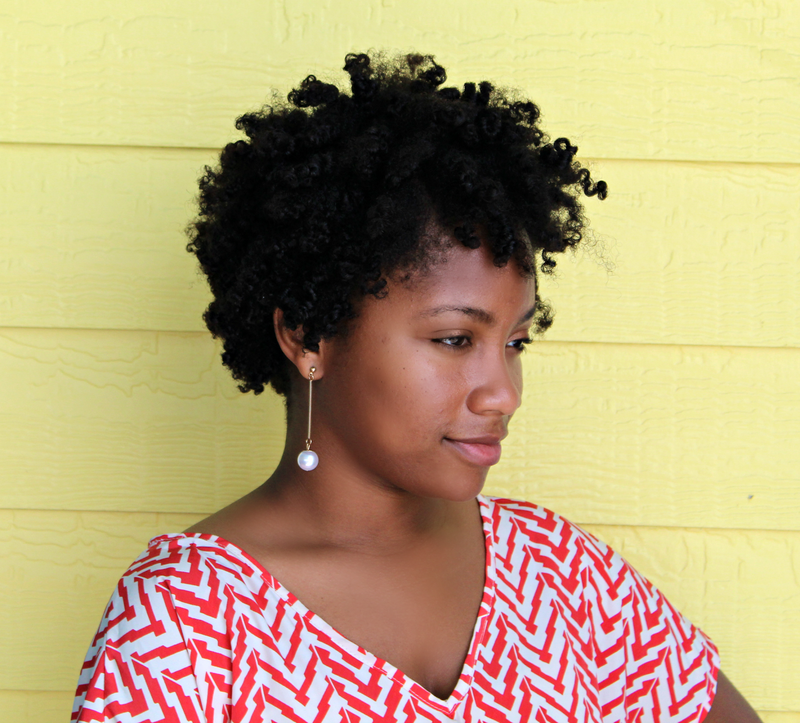 It's a great book for hair care beginners no matter where they are in their hair journey! It's an easy read, with small chapters, and the very first hair book that I read. I have other hair books as well but the bulk of them are on my Kindle App and I read them from my iPhone/iPad! I own The Science of Black Hair by Audrey Davis-Sivasothy, The 5 Hair Archetypes by Sharifa Barnett, The Hair Edges Manuel by Breanna Rutter, and The Glam Twinz Guide To Longer Healthier Hair by YouTube Gurus Kendra and Kelsey Murrell. Amazon is a great resource for all these books as well as Books-A-Million and Barnes and Noble. Another great gift is hair tools. There are so many to choose from nowadays. I own a few myself that range from low prices to high prices. They have been well worth their price tags and have lasted the test of time. One of my favorite tools/appliances include my Gold N Hot Conditioning Cap tht I purchased from Sally's a year and a half ago for $30. Another item that is well cherished/lived is my FHI Runway 1 inch flat iron. It's a new tool for me and the price tag was hefty. $400 dollars worth of hefty to be exact. However, these tools/appliances would have been great to receive as gifts. Any natural in your life would love a new conditioning cap, blow dryer, flat iron, hair steamer, scalp massager, and the list goes on. 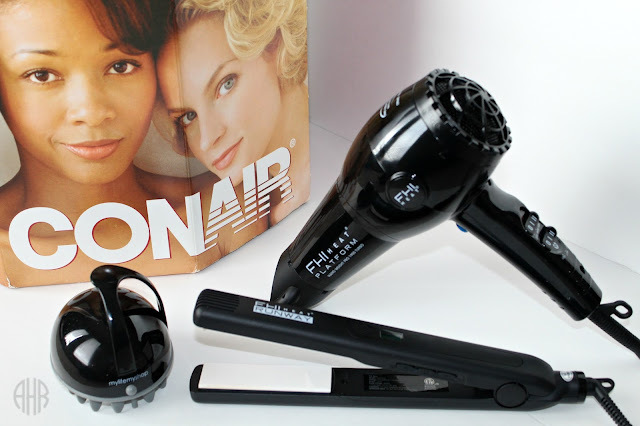 I have my eyes set on a hair steamer this year. I got this idea from the different subscription boxes that are gaining popularity around the internet. 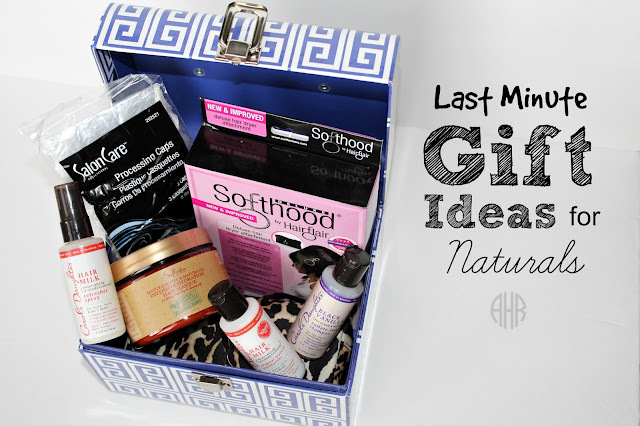 For a gift, why not make your own goodie box for the naturals in your life. This box pictured above is a real gift for my sister in law. I don't think she knows my blogger account exists, so I am not spoiling it for her. I hope! Anyway, I went to Sally Beauty and stocked up on hair essentials for deep conditioning. I included a full sized deep conditioner, which is one of my personal favorites by Shea Moisture called the Manuka Honey & Mafura Oil Intensive Hydration Hair Masque. 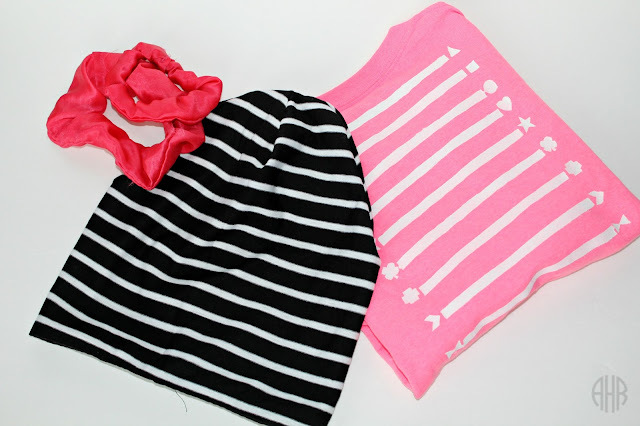 I also threw in a Soft Hood Bonnet that attaches to a blowdryer for heat-activated deep conditioning. Finally, I added 3 travel sized items from Carols Daughter and Shower Caps to top of this treat. Also, at the bottom of the gift box, I lined it with a Victoria Secret pouch for practical and aesthetic purposes. You can mix and match however you choice and come up with your own theme. I feel like this would be a great subscription box to receive in the mail. This next gift idea is my personal favorite and the one I choose most often. D-I-YYYYYYYY! This is where you can let your creativity fly and just get experimental. I think I inherited the bug to sew by my grandma but nowadays. I sew trinkets for everyone. It's a real personal gift that looks more expensive than it actually is because thread and fabric is less that $10 combined. You can make your natural a set of satin scrunchies, a satin lined cap, satin pillowcase, or a length check/graphic t-shirt. I have tutorials on all of those on my blog. Click the highlighted words to check it out. Last but certainly not least is the old and faithful gift card. Oh but it can be anything but basic. You can dress it up by adding any of the previous gifts listed. Also, add your own items like a turban, silk scarf, bobbi pins, elastics, Denman brushes, or any other hair essentials of your choice. Another spin could be to actually take the person shopping and assist them in picking out hair products. Gifts are not all about how much you can spend but it often depends on how you spend your time with the person the gift is for that makes the difference.